The Galley | Take a Tour of The Galley’s New Menu! 22 Aug Take a Tour of The Galley’s New Menu! Looking for some of the best seafood in St. Pete? While some might be surprised, locals know The Galley offers some of the absolute best seafood in St. Petersburg. For over a year and a half, The Galley has been wowing its friends and customers with incredible cuisine. But with the addition of its new menu and several new mouth-watering choices, The Galley just “upped” its game. In addition to menu classics that attract locals and tourists alike, The Galley’s new offerings now include a number of delicious culinary creations that make The Galley a “must” for downtown dining enthusiasts. The Galley is well known as the neighborhood “locals” place to hangout for drinks. But anyone who has ever dined at The Galley knows how incredible its cuisine is as well. 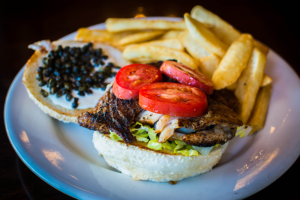 In fact, The Galley’s St. Pete Grouper Sandwich has become a locals’ favorite. It should therefore come as no surprise that some of the best seafood in St. Pete can be found right here. The Galley has now offered three additional seafood items that will further its reputation for the best seafood in St. Pete. Patrons now have options to choose the Yellowfin Sashimi appetizer with blackened sushi-grade tuna, avocado and teriyaki sauce. Or they may opt for the Teriyaki Salmon Bowl with glazed salmon, rice, avocado, edamame and more. The Galley has also added a Big Tuna Burger to its sandwich offerings. With blackened sushi-grade tuna served with avocado and siracha aioli on a coca bun, your taste buds will be in heaven. 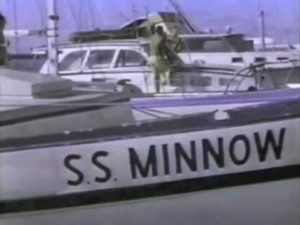 Something for the Landlubber Too! With a name like The Galley, having the best seafood in St. Pete comes as little surprise. But The Galley has plenty of delicious dining options other than seafood. St. Pete locals have come to love The Galley’s 7-grain grilled cheese as well as its “Filet” Cheesesteak. But new menu items are sure to please as well. Feeling in need of a little TLC? Try the new Bacon CHZ Fries smothered in shredded cheddar, chopped bacon and chives. 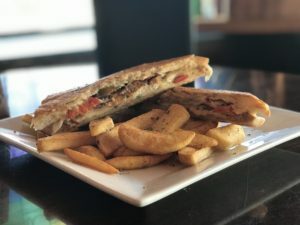 The new menu also includes The Don Pollo, a pressed Cuban sandwich with sliced grilled chicken, Havarti cheese, cherry peppers, and pickle aioli. If you had difficulty choosing from the number of delicious options before, these new menu additions will definitely add to your struggle! Vegan or Vegetarian? No Worries, Mate! The Galley’s menu has always provided its vegan and vegetarian patrons great dining options as well. From the Superfood Bowl to an array of other vegan and vegetarian offerings, The Galley is known to vegans and vegetarians alike as a great place to dine. But the new menu now includes the yummy Vegan Pub Burger. This new addition features a 3-grain vegan patty with vegan ranch sauce, lettuce and tomato served on a pretzilla bun. As you can see, The Galley is not just the best place for seafood and comfort food in St. Pete but simply a great dining experience all around. Don’t Pull Anchor Just Yet! If you didn’t already realize it, The Galley is also home to some of the best desserts in St. Pete. Thanks to local “sweets” maker (swah-rey), you can end your dining experience at The Galley in the most decadent kind of way. 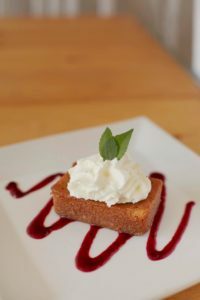 How about a slice of Sailor Jerry Rum Cake? Perhaps a slice of Key Lime Cheesecake with Berry Coulis Sauce is more your style. And of course, there is chocolate! The Double Dark Chocolate Brownie with Vanilla Ice Cream is never a bad decision. From start to finish, your taste buds will thank you for coming to The Galley. As always, The Galley is a great place for an ice-cold draft, a specialty cocktail or especially your favorite rum drink. But The Galley has also become well recognized as a place for the best seafood in St. Pete as well as other specialty culinary delights. With the new menu additions, this reputation will certainly grow. Whether you’re new to The Galley or a regular patron, it’s a great time to check out the new menu. So set sail for DTSP today and explore the great cuisines that await you!